Let me start out by saying—I am so thankful for easy-going couples like Kelsey + Brian! 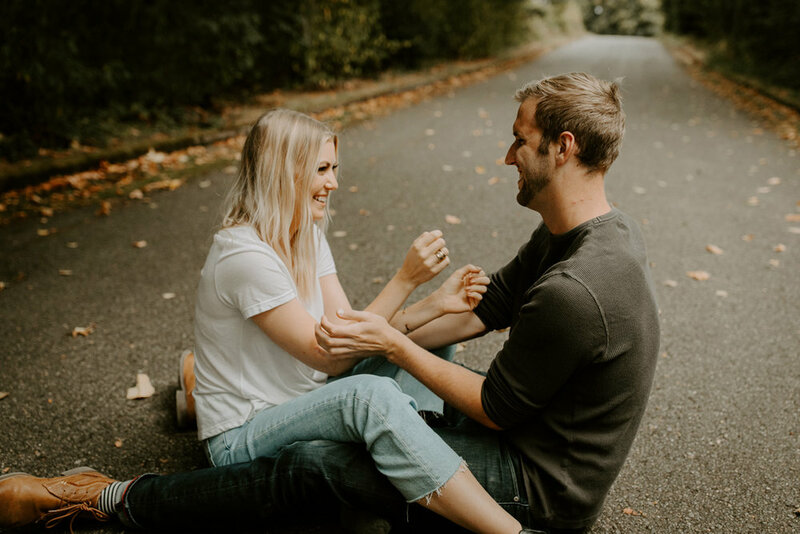 I was headed out to Seattle for a long weekend for fun, and found Kelsey through Instagram beforehand and we met up for a little beachside + woodsy session! They were so sweet, and up for anything, and they even let me hitch a ride with them back to Ballard because my phone died and I couldn’t get a Lyft! Again, so thankful. Before this trip, I had only been to Seattle in the spring, and let me tell you—fall was just as beautiful. The colors were in full swing, so after we had a little picnic near the shore, we made our way to the woods to take in the beauty between the pines + the fall tones. Will glady continue to go back to the PNW a million more times, anytime of year. Scroll through to see all the magic from their session + follow Kelsey’s style blog here.